There are lots of dyno types; inertial (only mass, but not capable of performing steady tests), water braked, eddy current water cooled, friction dynos, etc. Hi E-vektor, from your posts I read you have experience with dynometers. I'm interested in a DIY solution for an eddy current braked dyno. 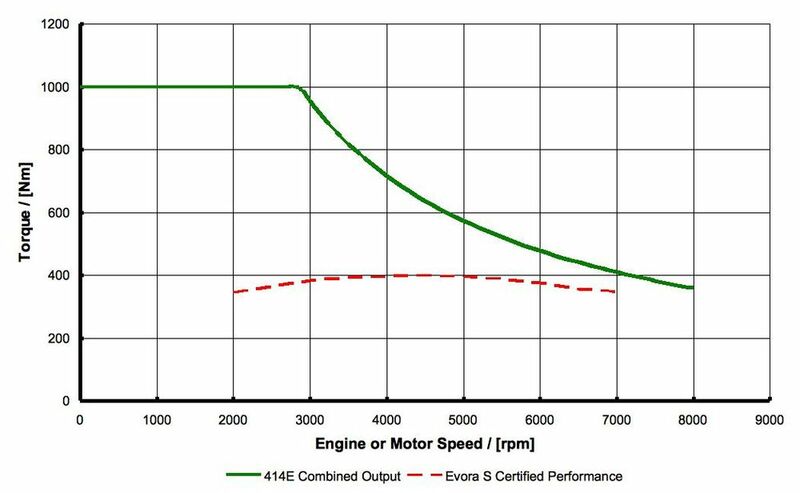 Have you observed successful amateur dyno in the power range of common electric motors say 1 to 50kw? In particular, I'm curious about the tools needed to log outputs. Apologies if this is off topic. basically you need the retarder, a sensor for speed (hall sensor or encoder), a sensor for force/torque (load cell), and a power supply to control the brake. The ideal way to control the brake is with a PID controller, so you can get steady conditions and also perform sweep / ramp tests. In some old dynamometers you could see a potentiometer to provide a direct torque to brake. Indeed, electric motors are a special case as they can sometimes be tested from high rpm until it stalls by increasing the brake's torque. This normally works with BLDC controllers, since motor torque increases as speed decreases, which leads to a balanced condition as the operator increases brake torque. I use the SP5 kit from my company which includes a built-in PID controller, to ease both steady and ramp tests. I picked up one of these motors, is there a 10 pole resolvers for dummies video somewhere? well I've got a function generator on the way, guess I will have to experiment. I get groups of 3 for poles, just not 10 poles. taking the samples at fixed points in the excitation cycle makes a lot of sense, as does using a board with 2+ adc. first off thanks for all this vector, great stuff here. Very rare to see someone actually dyno. Last edited by e-vektor on Aug 15 2018 4:58pm, edited 2 times in total. do you have a CSV file by any chance? I've not heard of a 115, it looks a bit like a water cooled me1304 though. motenergy has a me1304 72v graph which looks like about 12hp (at 140 amps peak). says it can do 125A continuous air cooled, or 180 continuous 450 peak with 6 liters/minute liquid cooling. Battery current may be more. I *think* with pmac it is more about field weakening (which can be done w/FOC), change the angle of the synchronized stator to push back on the magnets or something (which I think is why you can have more battery current than motor current in pmac, it is kind of a boost converter), and hope your controller doesn't fail at high rpm. The lacrosse induction motor doesn't have that issue. Have you sat through dave wilsons series? The point is that while rpm is lower than nominal speed the current should be constant (if FOC is well setup) and when rpm is higher as the back emf is higher then the field weakening should start and current has to decrease. Why should sevcon fail? Do you mean it can break? Has anyone made or seen any effort to use the OEM inverter, or at least some of it's components, for the eAssist Gen1 motor? It is in a somewhat unusual package in that the DC to DC converter and inverter are in the same case and the common controller board for the two is ~60% of it with the other being the IGBT section of the power stage. There are two other boards in the case. One is the power side of the DC to DC and the other I think you would call the filter section for the inverter. You can see most of this in the pictures below. What is missing is the power side of the DC to DC. It was basically destroyed in exploring this unit. The inverter has some pretty nice components on it. The IGBT module and the two current sensors would be easy to remove I think. The IGBT is a real nice looking Infineon FS400R07A1E3 and the current sensors are LEM HC5F400-S. I picked up 6 of these units, mostly for the 1kWh battery in the package, and 6 of the motors. Didn't pay much for them and they are easy to get so I don't feel bad destroying most of one in the name of DIY science. Last edited by e-vektor on Aug 15 2018 5:00pm, edited 1 time in total. Thanks! I figured it would be worth a few extra minutes to break out the D5600 DSLR instead of using grainy cell phone pics. From reading your thread Delta definitely seems the way to go. I actually have 2 projects in mind currently for these motors. Both of them are dual motor setups. Although with the power you are getting out of the motor in Delta the ATV project might change to a single motor. The other is more of a remote controlled utility chassis, for lack of a better term, and will always be low speed so it will likely stay dual motor, one per wheel on whatever axle I decide is powered. It will need to be able to move 1-2 tons so it may actually end up being hydraulically motivated with the eAssist motors driving the pumps. The ATV, based on a Polaris Sportsman style, I had initially planned one motor front and one rear using a 2 speed gearbox to directly drive the differential. But again, seeing the power you are getting one may just do the job as I do not need high speed. It will largely depend on efficiency losses introduced by using the existing transmission/pilot shaft to differential setup and if I can convince the OEM electronic controls for things like 4WD engagement, hill decent control, etc to work without an OEM ECM. Both of them are largely mechanical in operation and simply on/off to make them available so I don't see that as being a big hurdle. Perhaps hydraulic motivation would be applicable here as well but that would make any sort of regen almost impossible, or at least very complicated, from what I know of hydraulics. And there is potential for quite a bit of regen going downhill, especially if I make Active Decent Control all electronic controlled. Right now I am planning on either 24s or 36s using modules from Chevy Volts, probably at least 2p on top of the internal 3p that they already have. So I will have either ~89v or 133v nominal to play with and easily 5-700A peak discharge. My 1999 Sportsman 500 had about 25hp and would go anywhere I ever tried to go. It weighed about 650lbs or so. My current 2012 Sportsman 550 x2 has about 45hp and will go anywhere with reckless abandon, including 75mph which is totally unnecessary and unstable! With all the aftermarket gear I have on it the weight is about 900lbs and it's a 2 seater with a dump bed. I'm planning to find a 2010-2013 ish single seat. It is amazing how many there are on the market in the fall here for under 3000usd. I want that year range because I know the driveline pretty well and it has double wishbone front suspension instead of strut style that the older ones had and that they went back to in '14 or '15. Actually the rear differential in the units outside of that range was an integrated part of the engine/transmission unit. The ones I'm looking for have separate front and rear differentials using pilot shafts out of the gearbox. That was the other main reason I was thinking about. Would you be willing to share your VCL/settings? Possibly sell them? I'd love to make and market a kit using the Curtis and the e-assist motor. That's a good question. I've never messed with a custom VCL or characterization. does anybody know how to replicate / store / export the characterization? * Slip Gain, which was already adjusted to 16% with the dynamometer for max torque. I would suggest starting a new topic on this, referencing this thread as a starting point, since it is a very different application of the 2nd gen of this motor, not the first being discussed here. I know from the electronics side the Gen2 is vastly different from the Gen1 eAssist setup. I have not looked at the motor itself though. What you are talking about doing is somewhat similar to a long term project I am working on though. I am working out a way to integrate a Chevy Spark EV trans-axle into the drive train of my 2004 GMC 2500HD Duramax pickup. My current plan, for the mechanical side at least, is to connect it to the front axle output side of the 4WD transfer case. The Spark motor is not very big but it puts out 400 foot pounds as Chevy has it setup. It is a permanent magnet motor though, not inductive like the eAssist unit.